BLACK ABSINTHE Full Album Stream ‘Early Signs of Denial’ via Exclaim! Toronto, ON heavy metal trio BLACK ABSINTHE are surfacing from the basement to team up withExclaim! and unleash the full stream of their debut album ‘Early Signs of Denial’ produced by Dave Baksh (Cross Dog, The Mahones) plus mixed and mastered by Frank Gryner (Rob Zombie- Hillbilly Deluxe). Set for release on May 13th, 2016, the album is the band’s first professional recording to follow their three self recorded EPs Live At Coalition (2014), Noise Complaint (2014) and Augusta (2012). BLACK ABSINTHE’s powerful heavy riffs and bass lines are reminiscent of classic thrash and new wave British heavy metal with a range of progressive to classic rock influence ready to be shared with fans new and old alike. The title “Early Signs of Denial” is a conceptual connection to the themes of fear, corruption, and overcoming disparity, which is explored in the album’s songs. The record has emphasis of crushing modern tone, polished instrumental sections, soaring vocals and a blending of contemporary and classic metal. With each track, this unique record represents different aspects of BLACK ABSINTHE’s diversity in song writing. The band does not tread lightly over their new wave of British heavy metal song style or their technical and progressive metal influences. For more info, please visit: https://www.facebook.com/blackabsintheband. 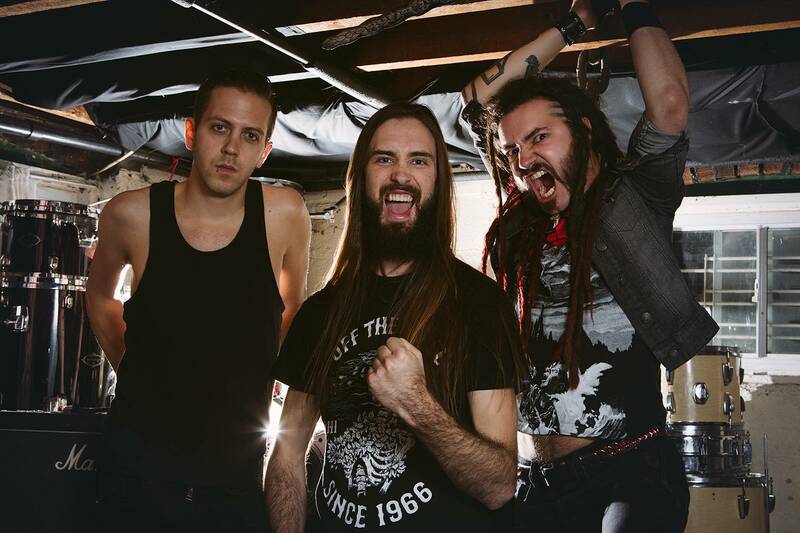 Formed in 2011 by vocalist and guitarist Jack Cerre, bassist Kyle Scarlett and drummer Austin Henderson, the trio continue to rip through the underground Toronto metal scene without pause. Compounding heavy riffs and bass lines reminiscent of classic thrash and new wave British heavy metal with a range of progressive to classic rock influence, Black Absinthe presents a solid example of a Canadian metal band. They’re road hungry, influenced plus supported by other driven Canadian musicians and most of all, ready to innovate and grow the traditions of a genre they venerate and respect. As leaders in the scene, Black Absinthe were headlining Toronto semi-finalists in the Wacken Metal Battle Canada 2015. With a new year ahead, Black Absinthe pushes on with their desire to provide their fans in Canada and online with a cleaner and heavier presentation of their sound. The years incubating in Toronto’s metal underground have served the band well. From their 2012 debut EP Augusta to their 2014 EP Noise Complaint, both releases have established the band’s sound as well as their stage presence, leading to their driven heavy metal machine. 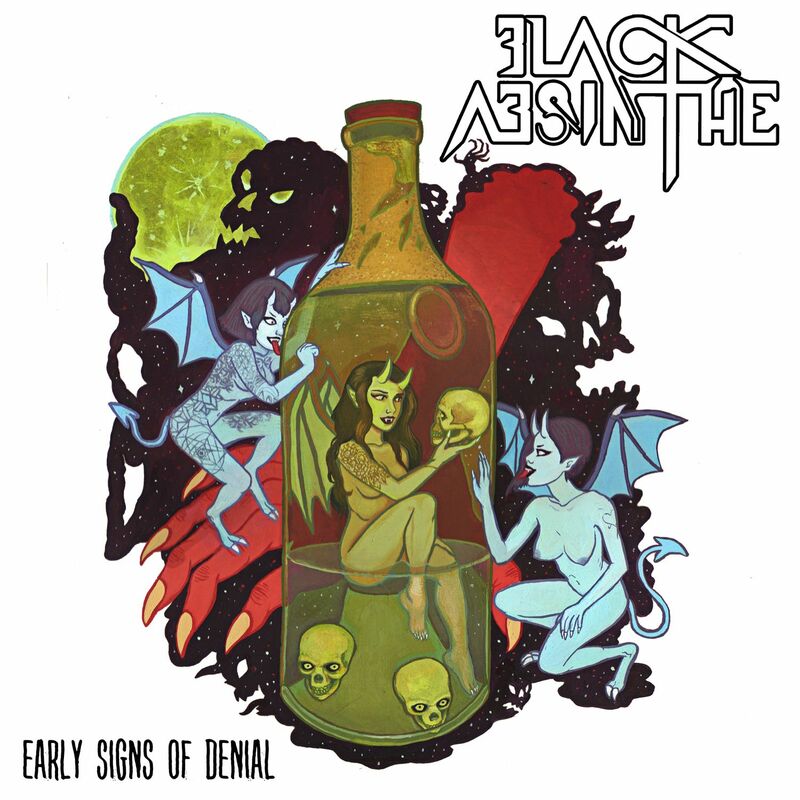 Now in 2016, Black Absinthe are ready to release their debut studio album Early Signs Of Denial (May 13, 2016). 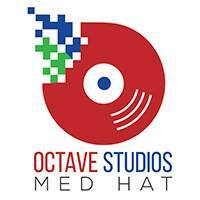 The album was produced by Dave Baksh (Cross Dog, The Mahones) out of the Gentleman’s Den studio in Pickering, ON who’s experience proved to be the final touch; aiding in refining drum dynamics, smoothing the transitions and layering harmonic guitar lines. Black Absinthe’s Early Signs Of Denial sound is a leading example of the contemporary Canadian metal scene serving to showcase how the band sounds in a crisp, powerful, and ultimately more professional recording environment. The title “Early Signs of Denial” is a conceptual connection to the themes of fear, corruption, and overcoming disparity, which is explored in the songs. The record has emphasis of crushing modern tone, polished instrumental sections, soaring vocals and a blending of contemporary and classic metal. With each track, this unique record represents different aspects of Black Absinthe’s diversity in song writing. 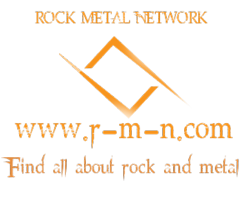 The band does not tread lightly over their new wave of British heavy metal song style or their technical and progressive metal influences. Through the bands expanding network cultivated through Coalition Music’s “Artist Entrepreneur Program”, they chose Frank Gryner (Rob Zombie- Hillbilly Deluxe) to mix and master the album in the Winter of 2015. His strong ability to work with a diversity of sounds was the appeal to the band. His mixing took the album into the sonic spheres of a classic 80’s sound providing, grandeur, psychedelia, and an arena rock feel that could properly represent the textures put down in tracking. There was an immediate trust formed with the stylistic choices Gryner made throughout mixing.